I finished these a while ago but hadn’t posted about them. 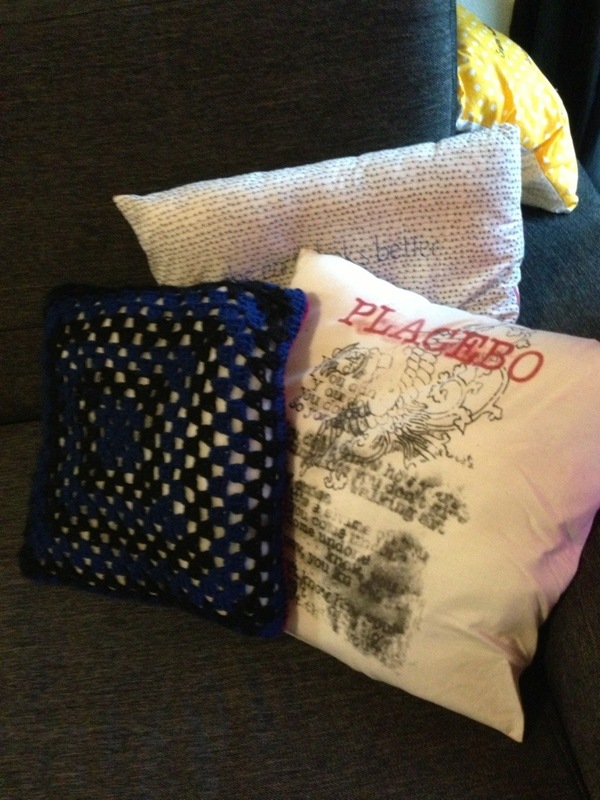 The first is my attempt at a crochet cushion cover. I had no pattern and no actual plan, but it turned out ok. I didn’t weave in the ends properly and so it’s started to fall apart. So it’s out of action until I can fix it. 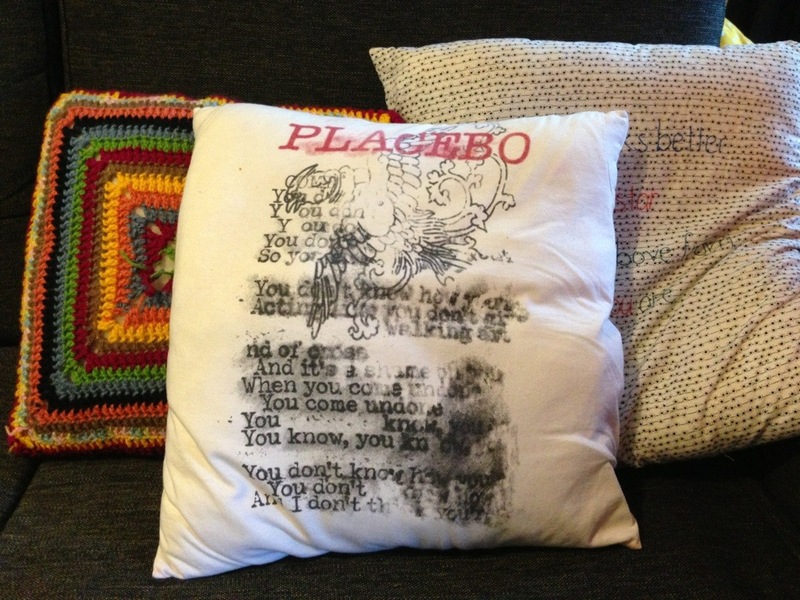 The second new cushion is made out a band shirt. I saw placebo when they played at soundwave festival a few years ago. Black market music was on of those seminal albums of my youth. So I couldn’t not buy a tshirt. Only problem was they only had sizes that were too small. I bought it anyway as I had planned to lose weight. 4 years later and it still doesn’t fit and will probably never fit, so it got transformed into a cushion. It was trickier than I thought mostly because it wasn’t a proper square to begin with. I somehow managed to wrangle it into a square and sewed up the top. I hand sewed the bottom up in lieu of sewing a zip. I have so many band shirts that don’t fit me any more, so this will be a great way to display them and put them to good use. 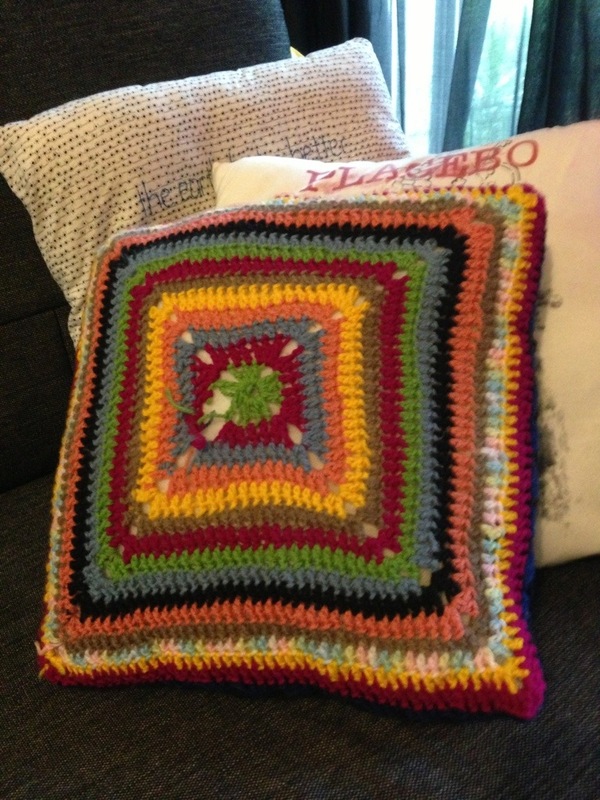 This is cushion 4 & 5 of my 13 in 2013 challenge.